Visualising weakness in a humorous way, this TV spot emphasises the advantages of the smart fortwo as a car that was made for the city. 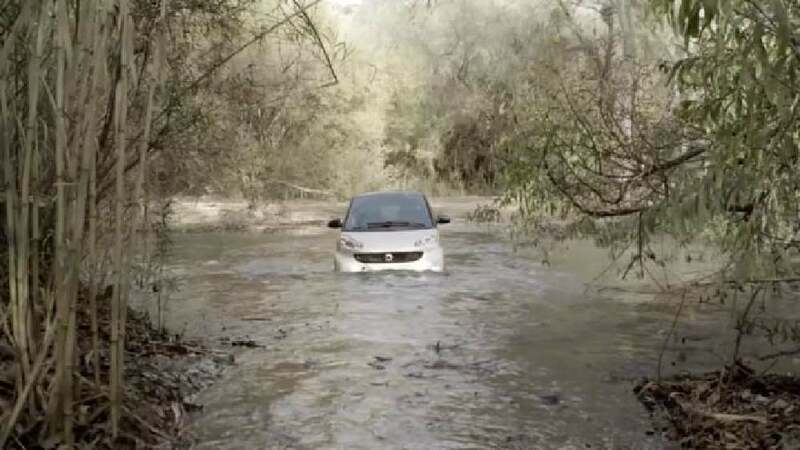 First, the smart fortwo is challenged by desert-like terrain and fails miserably. But the next scene shows it in a city, where it effortlessly drives into a tiny parking space. The sound design underscores the bold manoeuvres through the dramatic rise and fall of powerful music. This tension-building acoustic atmosphere is intensified by individual sounds, such as the rippling of water.